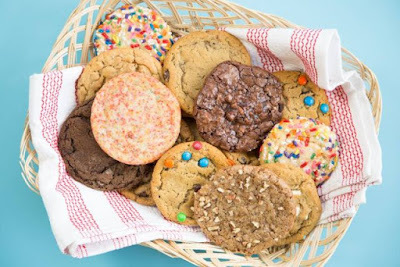 Great American Cookies turns 40 this year and to celebrate will be selling Regular Cookies for 40 cents a piece on Thursday, June 22, 2017. Additionally, they'll be giving away a Free Cookie Cake each to the first 40 customers at each participating location. The free Cookie Cakes will each be decorated with "Happy Birthday" in chocolate and white icing only. There's a limit of one dozen cookies per person at the 40-cent pricing.